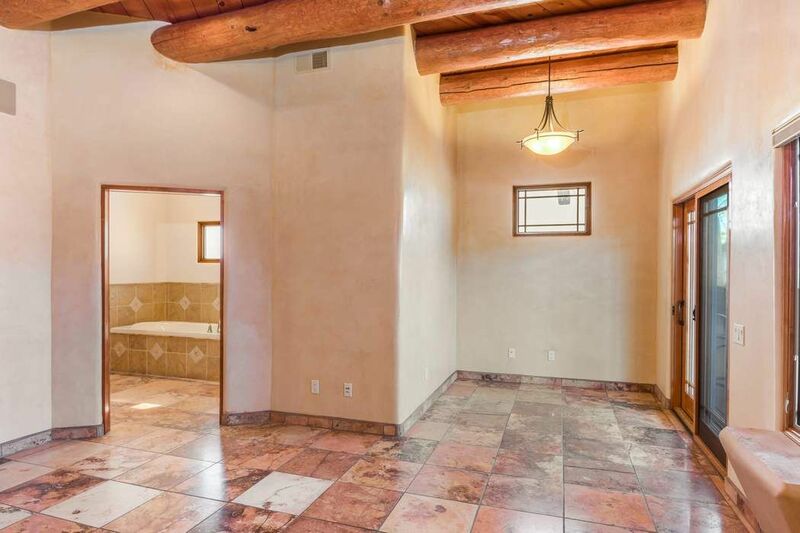 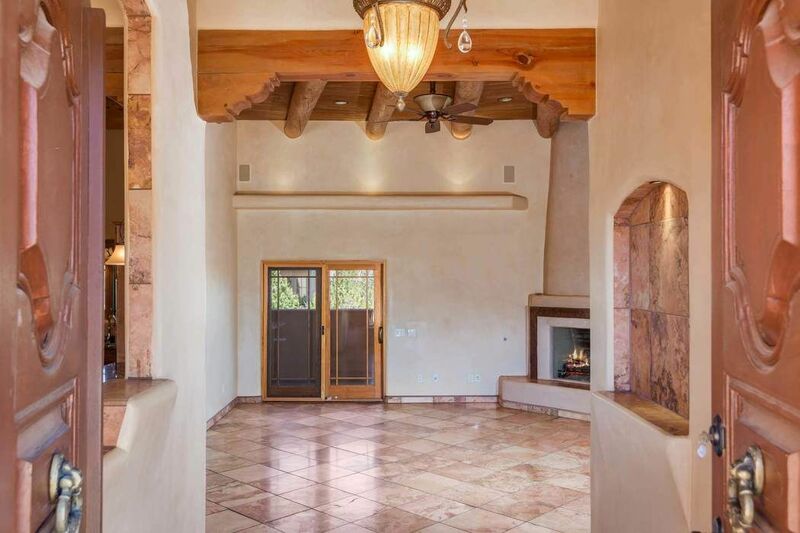 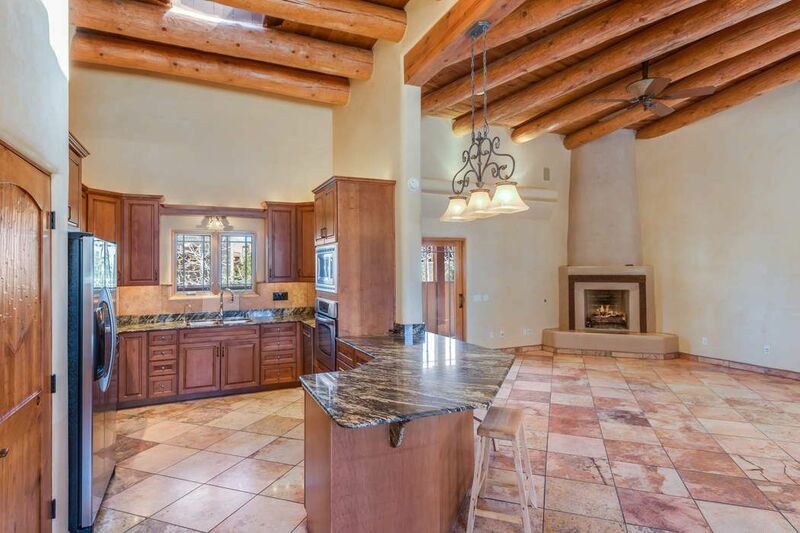 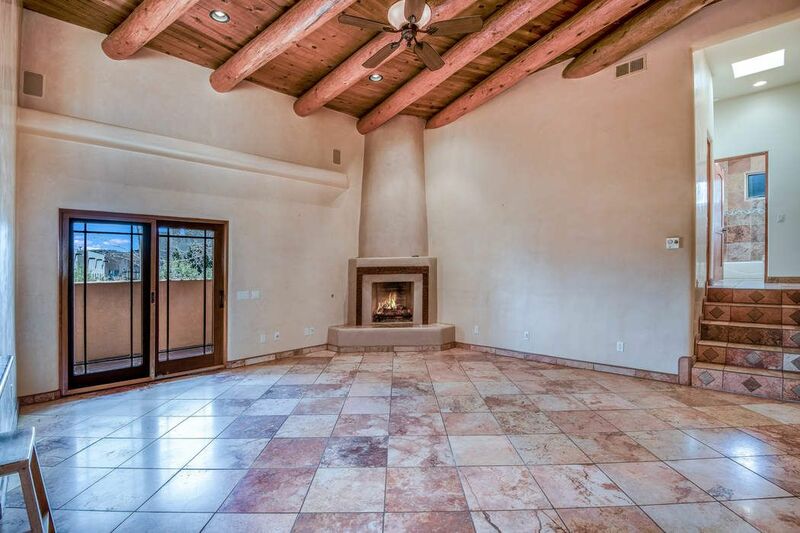 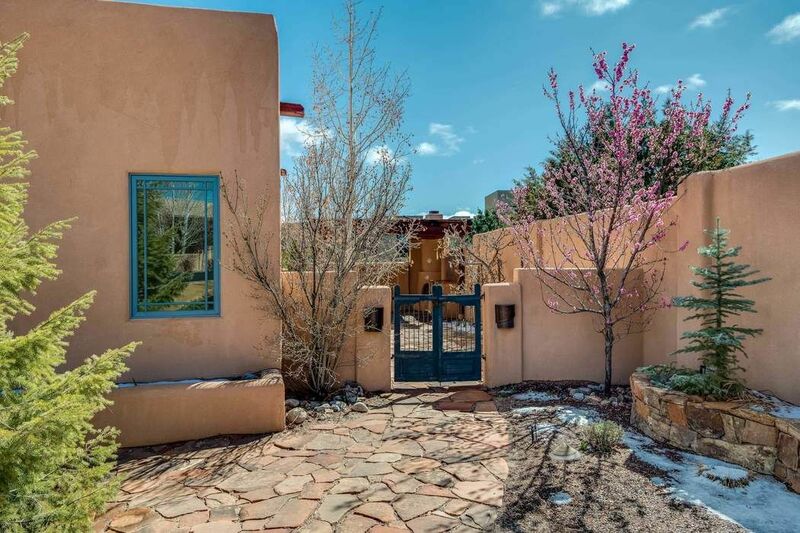 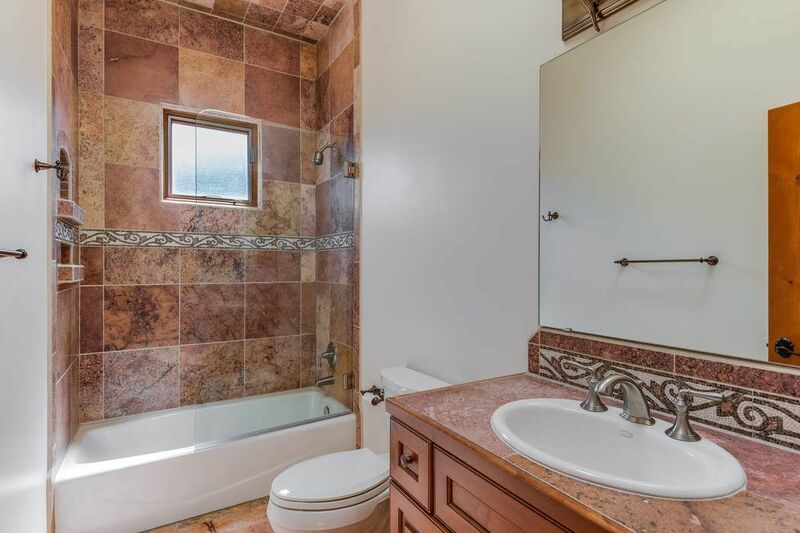 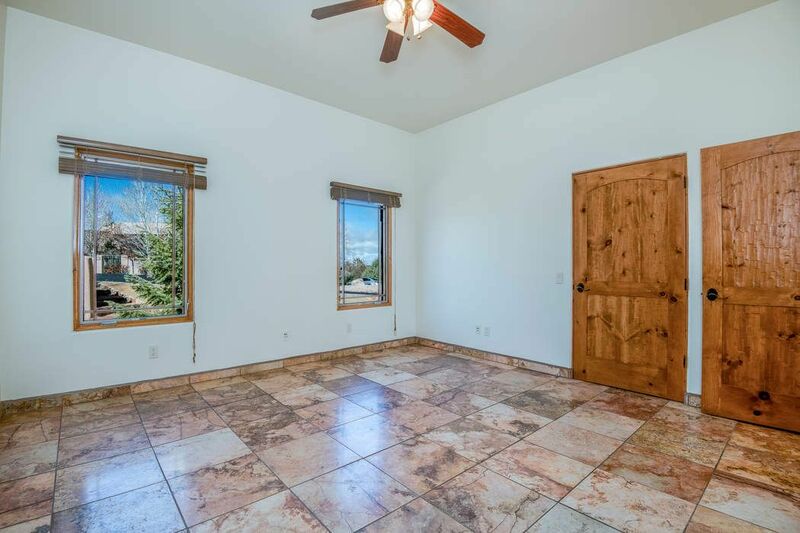 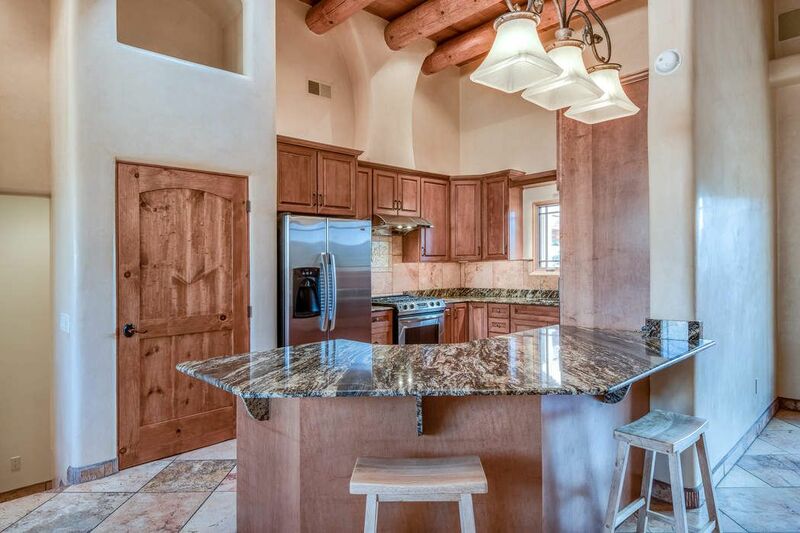 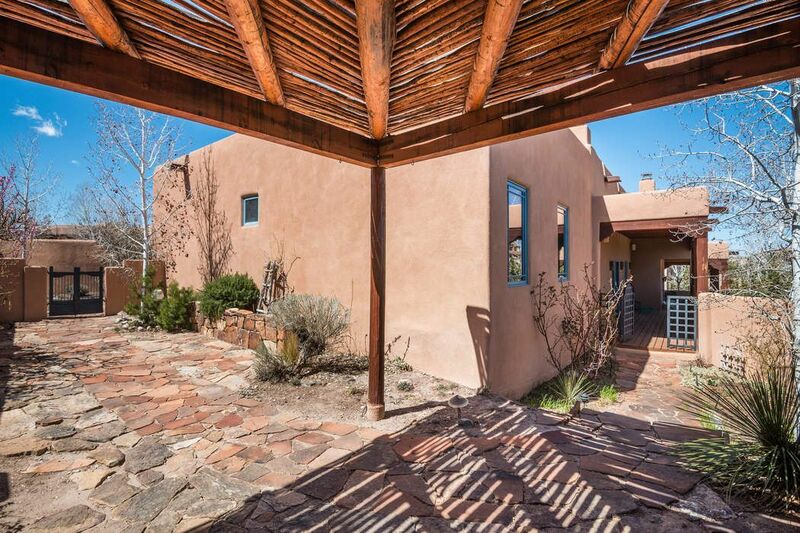 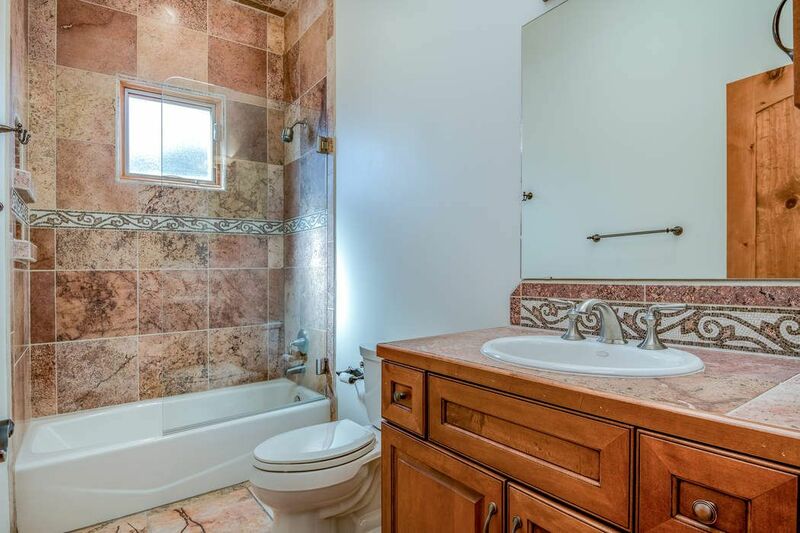 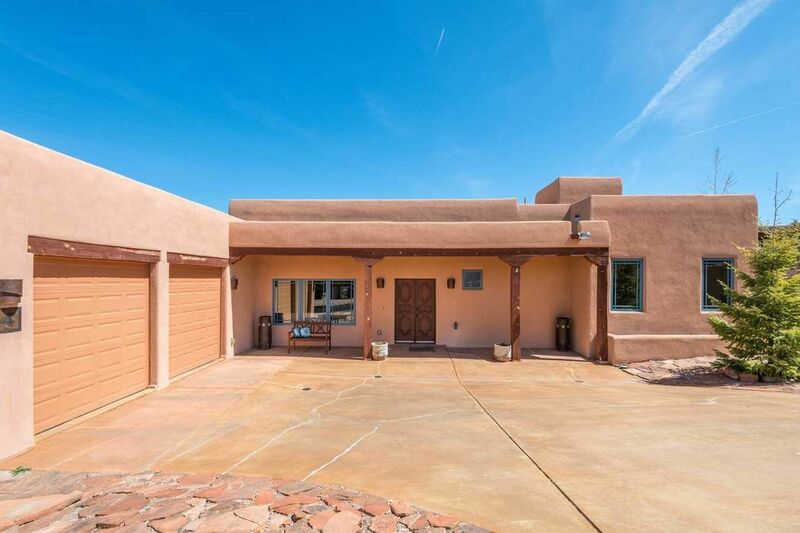 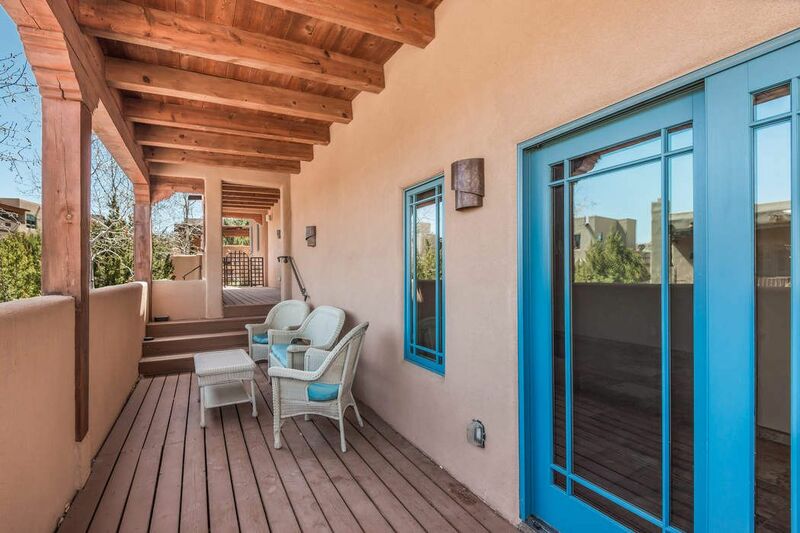 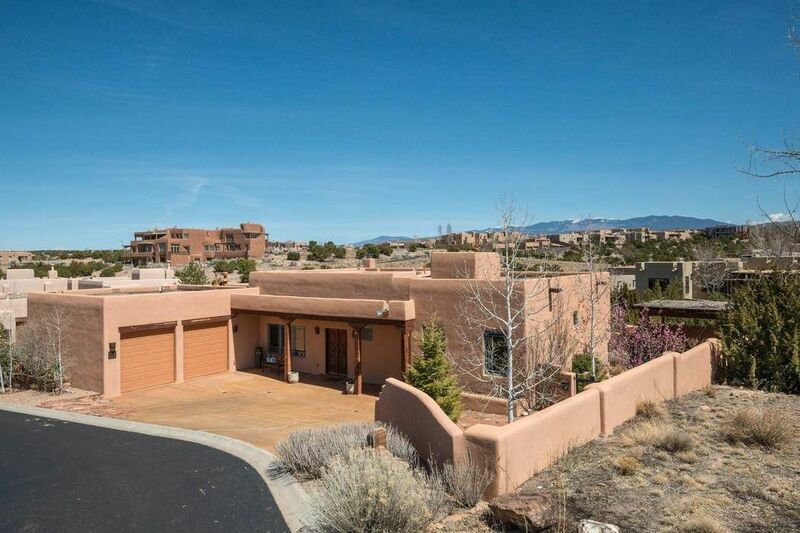 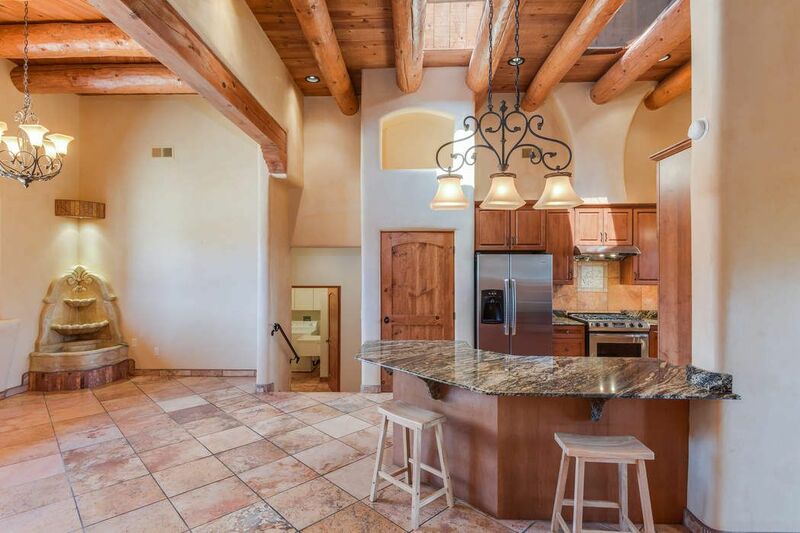 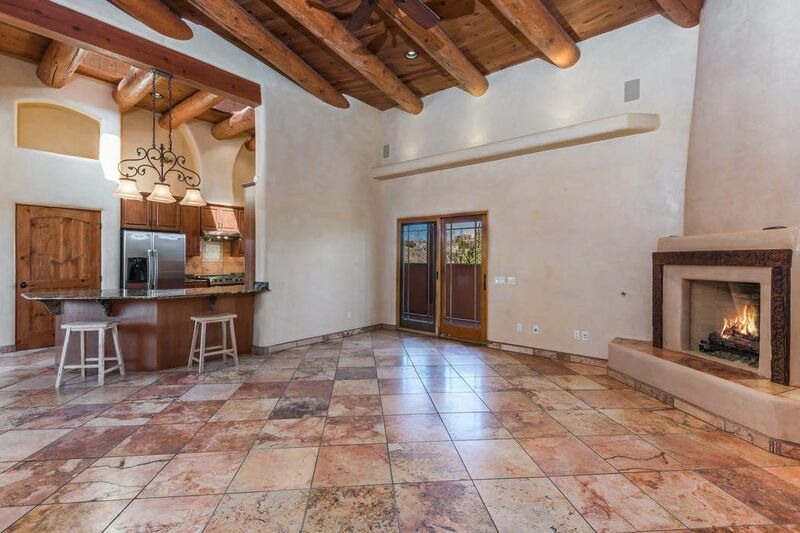 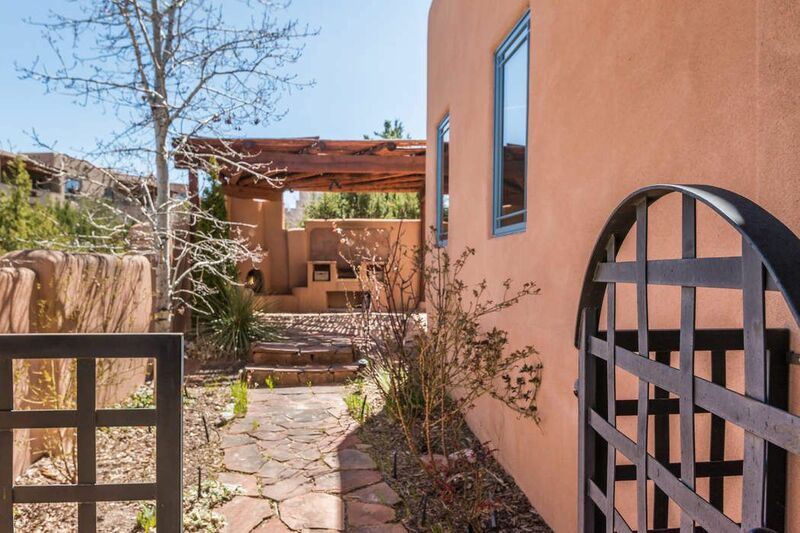 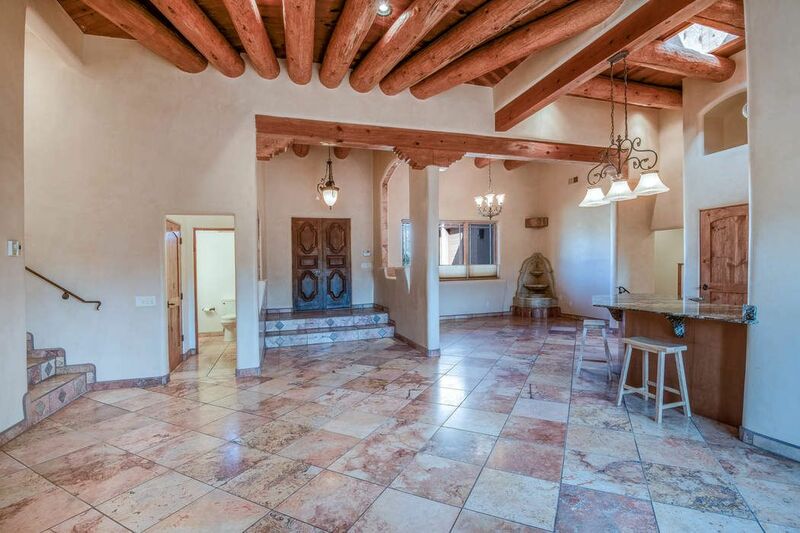 4 Calle Siete Casas, Santa Fe, NM 87507 | Sotheby's International Realty, Inc.
$525,000 3 Bedrooms2 Full / 1 Partial Baths2,464 sq. 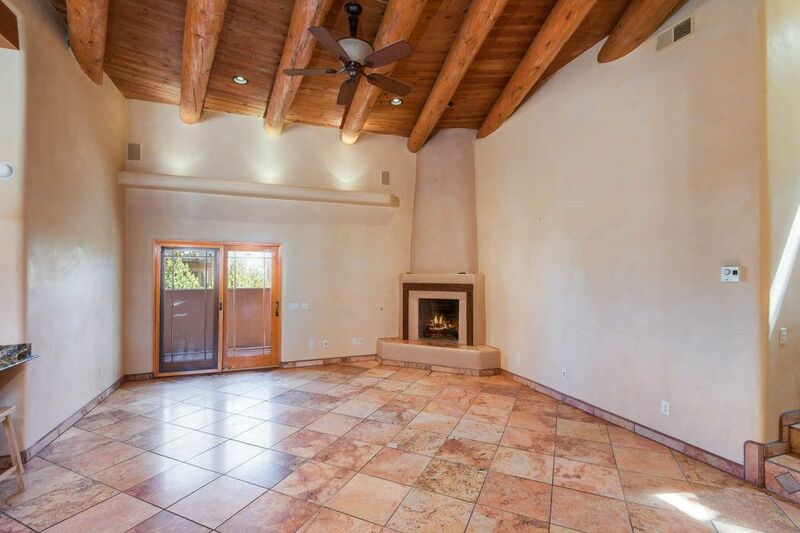 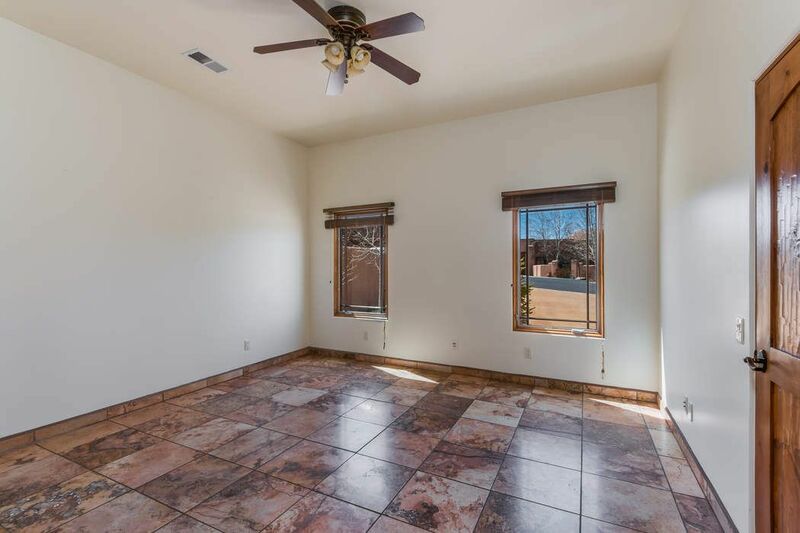 ft.
Set in the Aldea community, this walled 3 bedroom 3 bath home provides ample space and attractive finishes in a fantastic location. 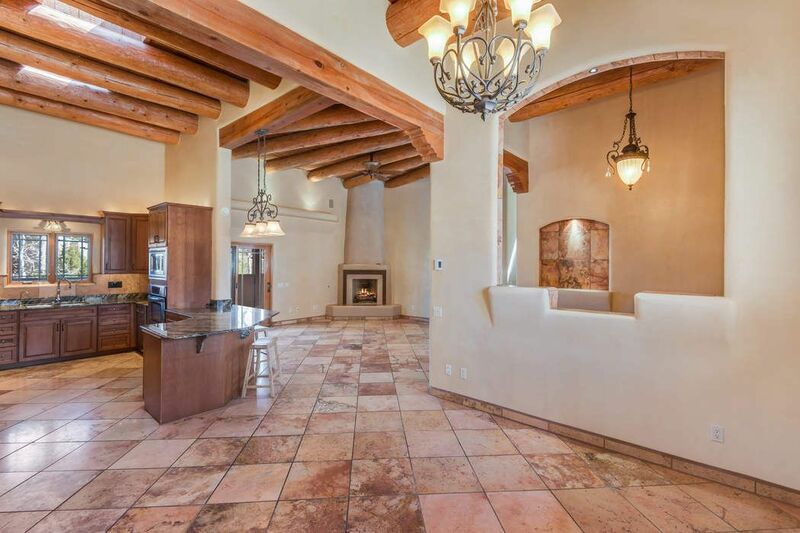 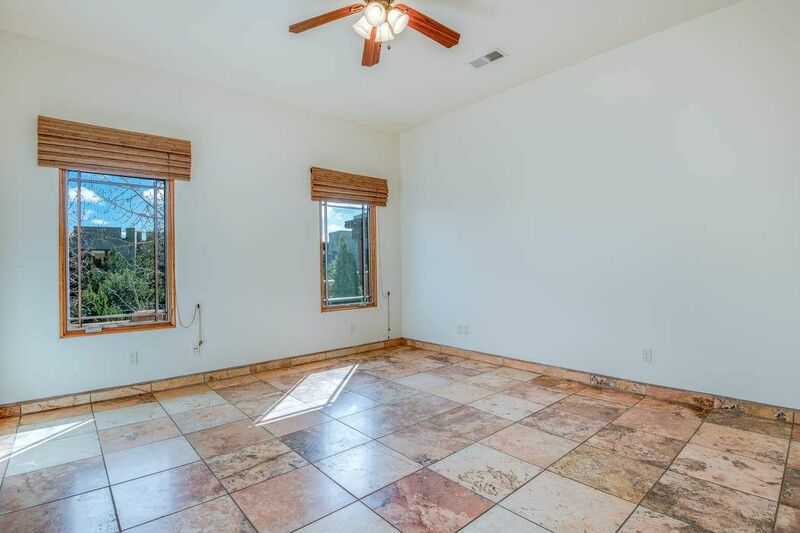 Step through the wooden front door into the open, inviting living area, with its elegant tilework, high ceilings with vigas, and a cozy fireplace as its centerpiece. 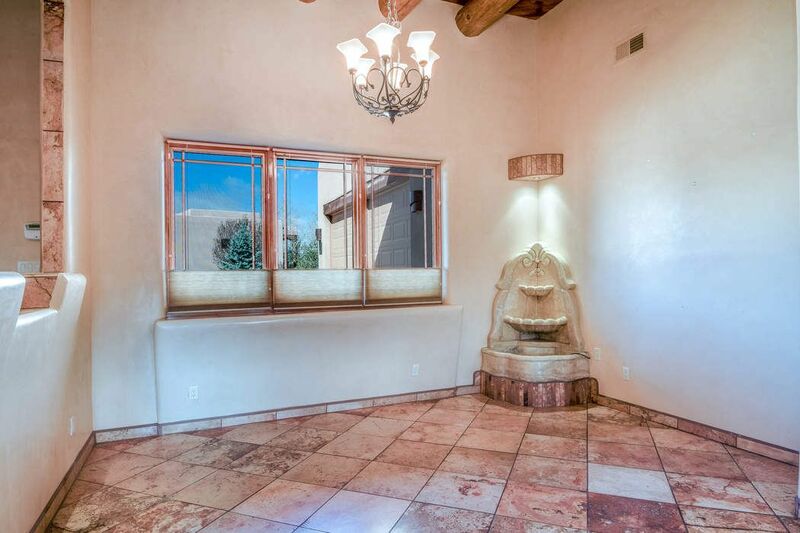 There is a lovely built-in fountain in the dining area. 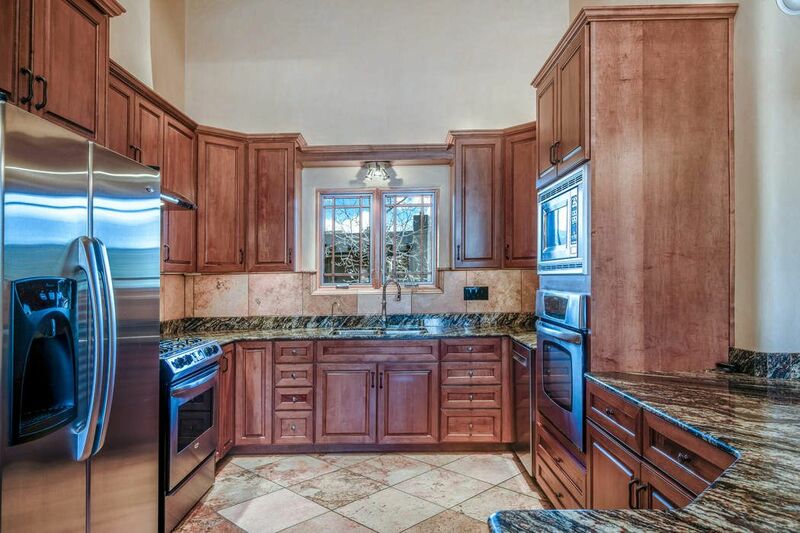 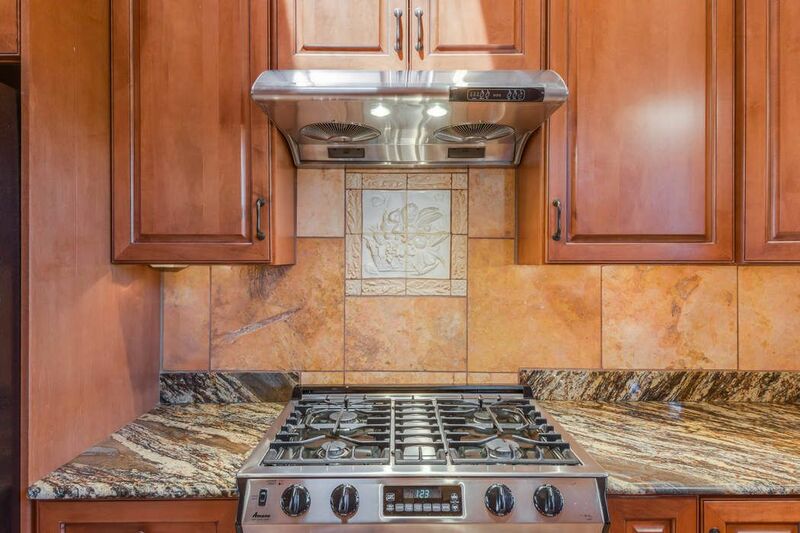 The modern kitchen features granite countertops, stainless steel appliances, a large pantry, and an overhead skylight. 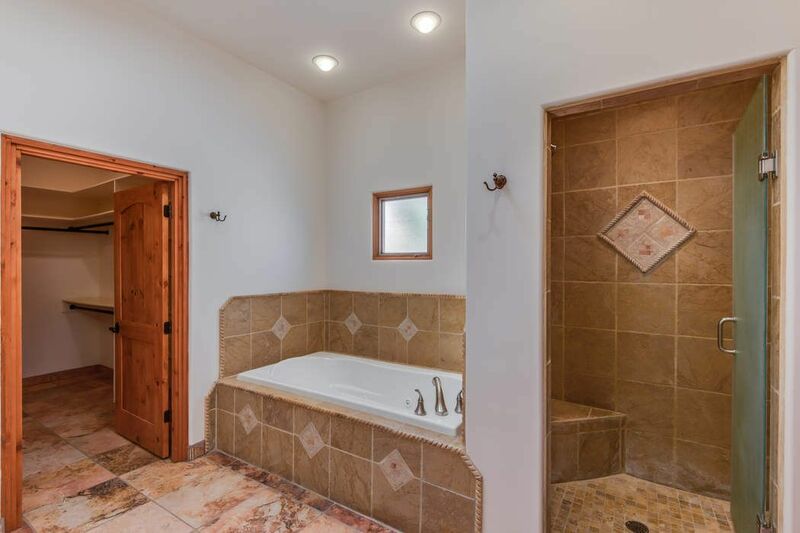 The grand master suite has its own fireplace and direct access to the outdoor patio, while the ensuite bathroom includes both a shower and a jetted tub along with a sizable walk-in closet. 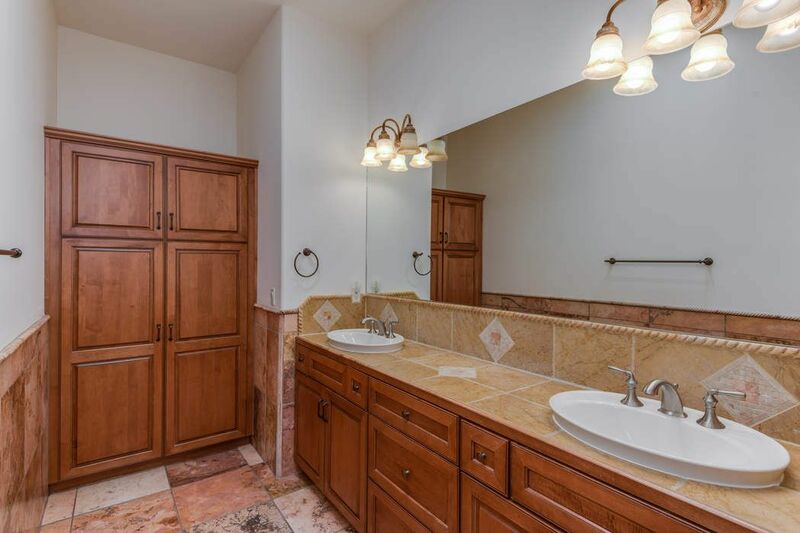 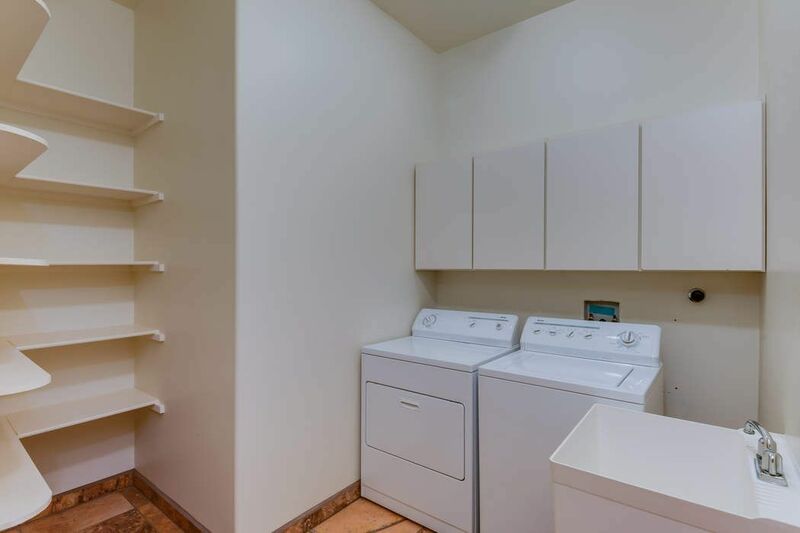 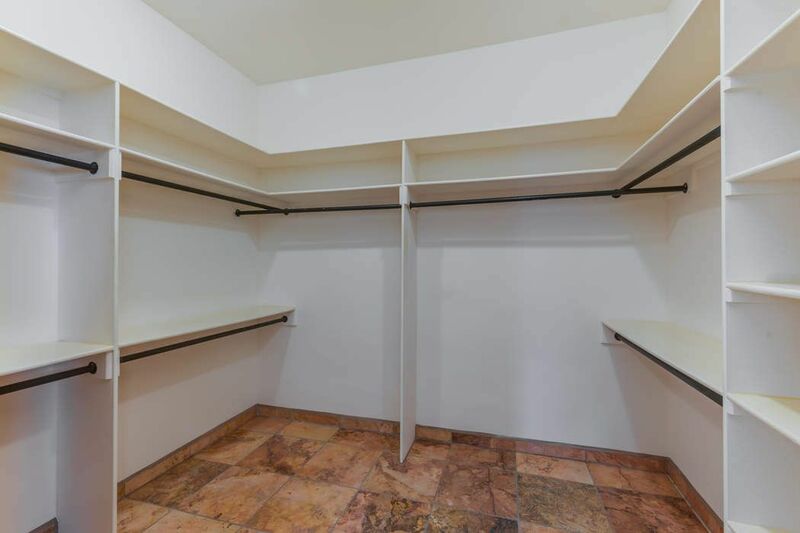 Additional features include a separate laundry room, walk-in closets in the guest bedrooms, and attached 2 car garage. 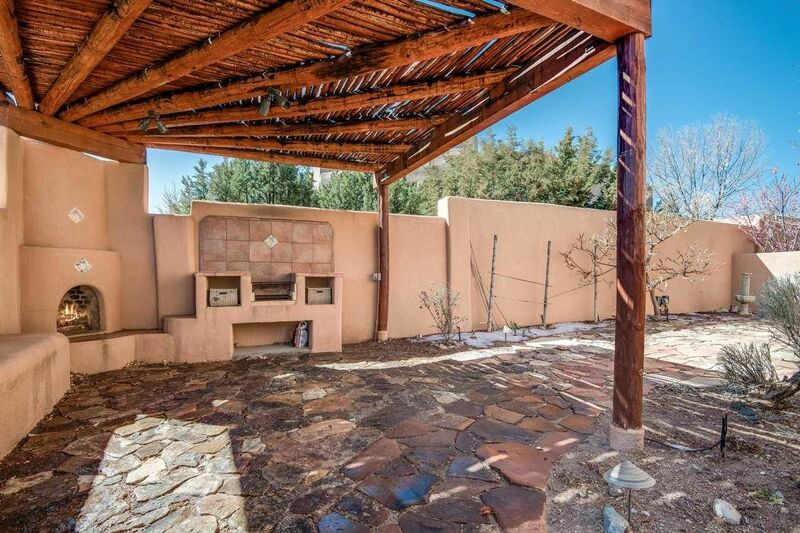 The carefully landscaped outdoor space boasts a fireplace and a grill. 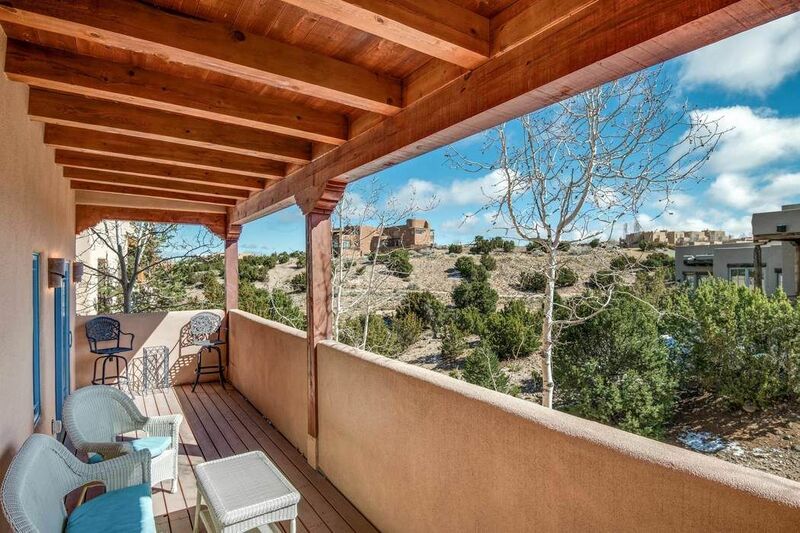 Sit outside on the patio and admire the views of the surrounding hills. 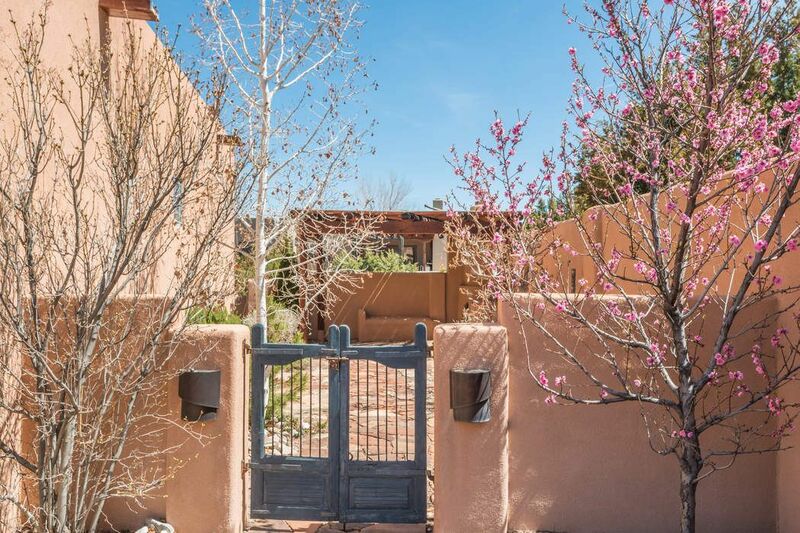 Enjoy the amenities of Aldea including shops, athletic facilities, and an extensive trail system. 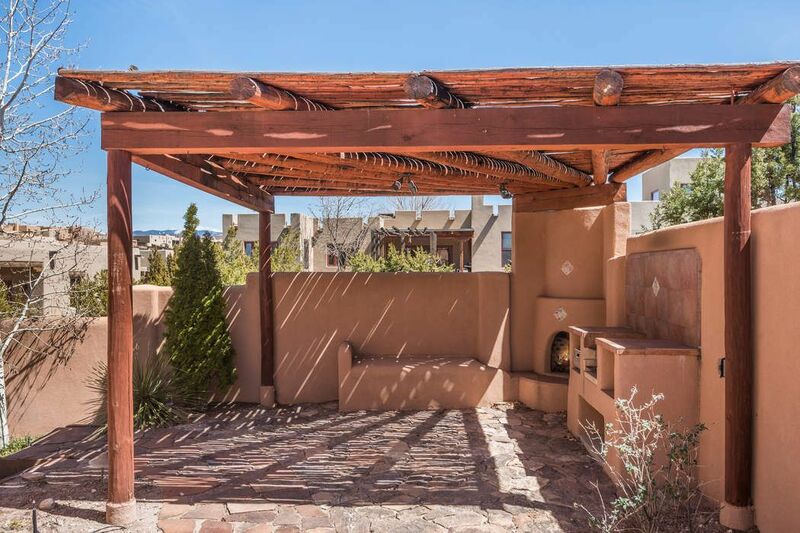 There is also easy access to the restaurants and galleries of downtown Santa Fe.